Visit to Scholarship Donor, Wynn Resort (Macau) S.A. 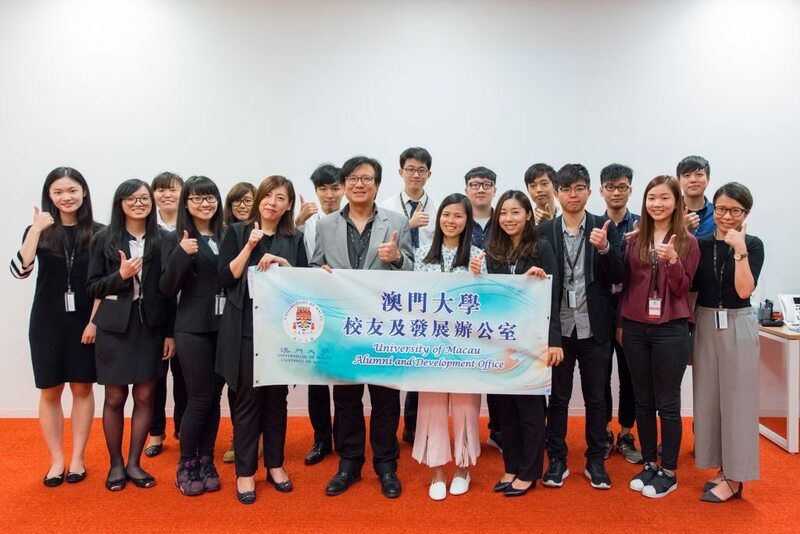 In order to show appreciation to scholarship donors for their supports to the University of Macau (UM) and maintain a positive stewardship, the Alumni and Development Office (ADO) organize various donor visit activities regularly. 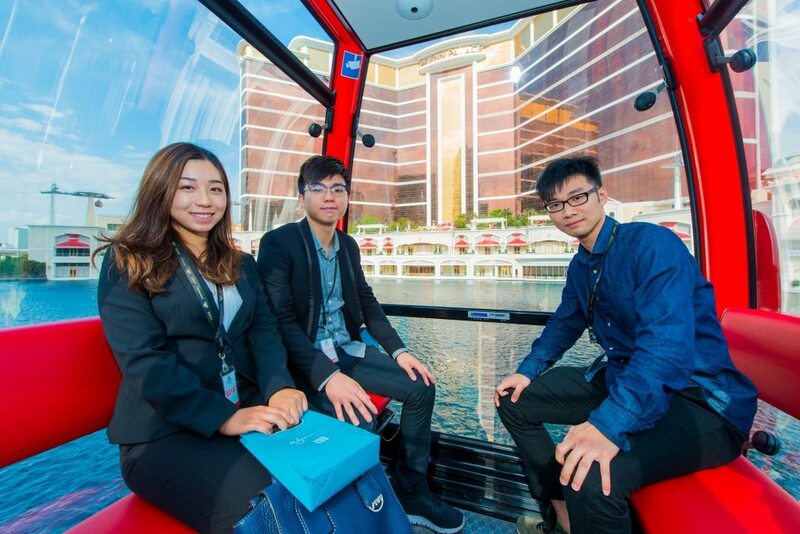 ADO has recently invited approximately 20 students to visit Wynn Palace. Participants included scholarship recipients and alumni of the Wynn Macau Scholarship and Wynn Macau Whole Person Development Scholarship, students from the Department of Communication in Faculty of Social Science, residential college students from Cheng Yu Tung College, Choi Kai Yau College and Henry Fok Pearl Jubilee College. Representatives from Wynn Palace kicked off the visit by an interactive Q&A session with the participants to briefly introduce the background and interior design of the property. A tour to the team member operational zone and hotel suite was arranged, followed by a unique experience to visit the property’s design and performance of their lake through a ride on the sky cable. A career talk was then presented by Alumnus Justin Kou, Senior Manager – Employment of Wynn Palace. Alumnus Kou shared his tips on recruitment, career development as well as training programs to the participants. Through this sharing and active participation in Q&A session, students and alumni increased their knowledge about the hospitality sector. 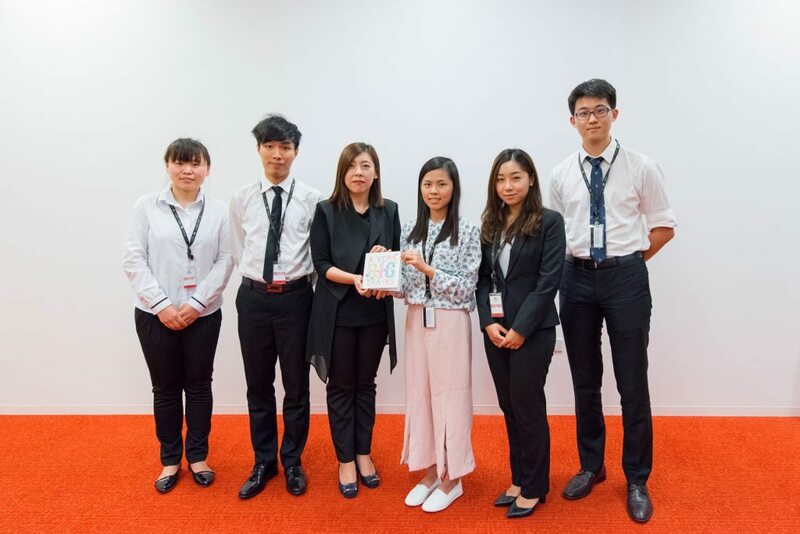 Five representatives of the scholarship recipients took the opportunity to present a thank you card and souvenir to the delegations from Wynn Palace at the end of the visit, as an appreciation to their generous contribution made by the Wynn Resort (Macau) S.A. Aside from supporting UM in format of “Wynn Macau Scholarship” and “Wynn Macau Whole Person Development Scholarship”, Wynn Resort (Macau) S.A. has made a long-term contribution to UM through various donations to support the development of the Asia-Pacific Academy of Economics and Management (APAEM) and the Institute for the Study of Commercial Gaming (ISCG).